Jennifer Lawrence BAFTAs: She was accused of being "rude". Jennifer Lawrence managed to draw the wrath of a nation with her on-stage BAFTAs joke. 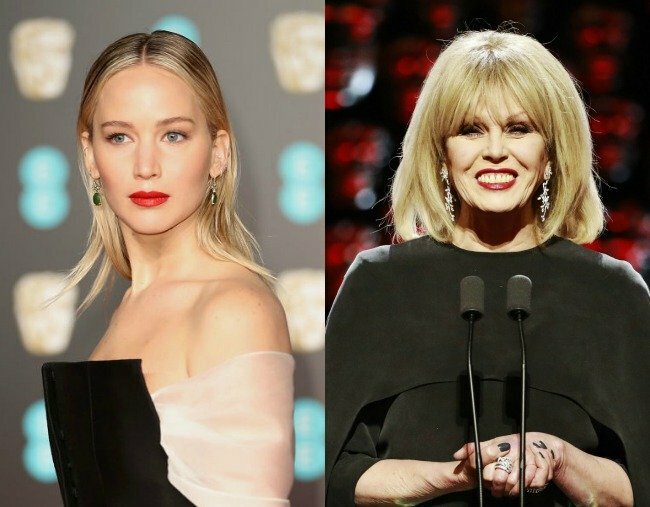 Jennifer Lawrence has accidentally induced the wrath of a nation after joking with BAFTAs host Joanna Lumley on live TV, not realising “throwing shade” at the national treasure is akin to trespassing and treason on British soil. “Right let’s start giving out some of those beautiful BAFTAs shall we? Watch the exchange at the BAFTAs in the video below. However, Lawrence has responded to the… intensity… of her critics, telling Ronan Keating on Magic Radio all was not as it seemed. Remind us to never joke about the Queen, the Big Ben or Jamie Oliver. Ever.